AREVA SA is a France-based company that offers technological solutions for nuclear power generation and electricity transmission and distribution. 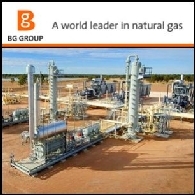 The Company operates four divisions, including Front-End, which provides solutions intended for the fuel cycle operations that take place before nuclear power is generated; Reactors & Services, which designs and builds pressurized water reactors (PWR) and boiling water reactors (BWR), as well as naval propulsion and research and test reactors; Back-End, which covers solutions for the treatment and recycling of fuel after it has been used in nuclear power plants and related operations, and Transmission & Distribution, which designs and manufactures electricity transmission and distribution equipment and systems. AREVA SA holds direct and indirect stakes in a number of companies, such as Areva NC SA, Areva T&D Inc, Areva Japan Co, STMicroelectronics NV and Eramet SA, among others. 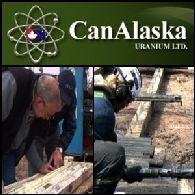 CanAlaska Uranium Limited (CVE:CVV) (OTC:CVVUF) is pleased to announce that it will be attending the PDAC 2011 Mining Convention at the Metro Toronto Convention Centre between March 6 - 9, 2011. 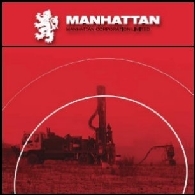 Manhattan Corporation Limited (ASX:MHC) is pleased to provide a Quarterly Activities Report for the period ending 31 March 2010. Asian markets received a bad lead from the US and European stocks while financial, commodity and materials sectors were all hit hard. 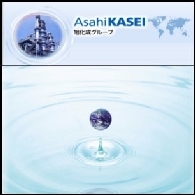 Most Asian stock markets ended down Thursday ahead of the U.S. jobs report. Japan&apos;s Nikkei fell on the deepening fears over Toyota Motor&apos;s vehicle recall. China&apos;s Shanghai Composite slipped 0.3%, Hong Kong&apos;s Hang Seng Index gave up 1.8%.